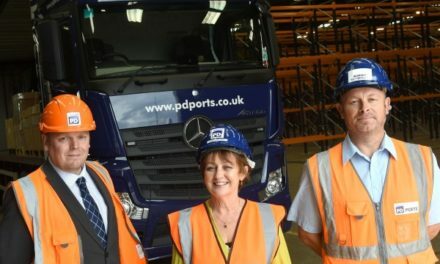 Russ McCallion, PD Ports’ HR Director, said: “The wealth of transferable skills and attitude ex-service men and women bring to our business is exceptional. 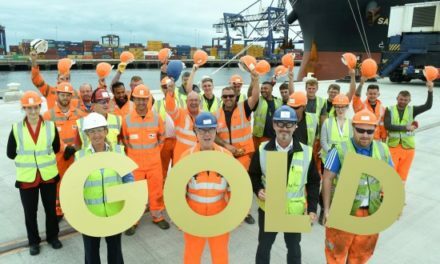 They are disciplined, decisive and determined individuals with a true team spirit, which adds real value to our business and the wider supply chain. I would encourage any business operating in the logistics sector to consider the potential of employing former military personnel. 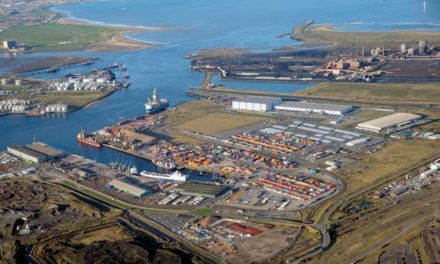 “With Europe’s largest Garrison at Catterick, only 30 miles away from our main operations at Teesport, we aim to help provide stable employment opportunities for veterans as they start to build a new life. The Armed Forces Covenant is a pledge from businesses, local authorities and the third sector that those who serve or have served in the Armed Forces and their families are treated fairly. PD Ports is proud to join a growing number that have already signed their pledges to recognise the value of our Armed Forces community. 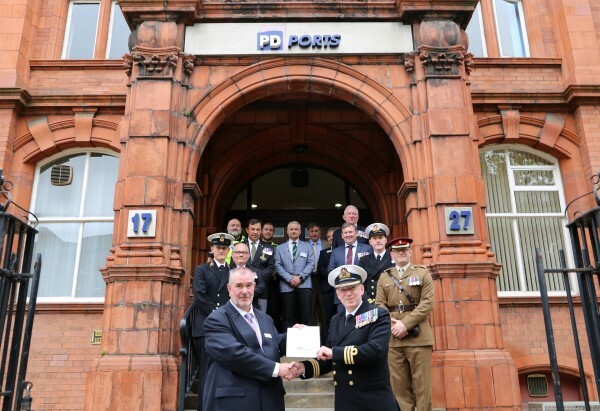 The Covenant was signed at PD Ports’ headquarters in Middlesbrough by Russ McCallion, PD Ports’ HR Director (front left) with Commander Ian Berry, HMS Calliope on behalf of the Ministry of Defence (front right).